Two bankers recently appeared before the Janneh Commission to shed more light on the transfer of over three million us dollars made by their bank to T.K Exports in Dubai based on instruction given by Mobice company. Testifying, Mr. Adesina Adebesin, Managing Director of Guaranty Trust Bank, who was summoned in connection to a transaction which was done on the 26 June, 2015 revealed to the commission that a transfer of $3,642,000 was made to T.K Exports in Dubai, noting that he had the instruction and the bank statement. He said the instruction was given by Mobicel. 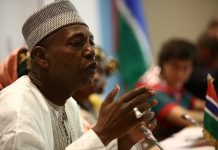 According to him, Babucarr Jabai and Aminata Sanyang were the signatories, and that Mr. Balla Jassey remained the only signatory to all the accounts. He adduced that the transaction was signed by Balla Jassey. 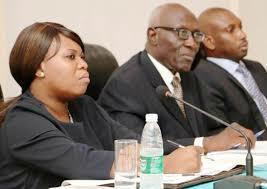 Isatou Jawara an official of the Guaranty Trust Bank who sat side-by-side with Mr. Adebesin during their testimonies also informed the commission that the source of funds in the bank statement was inflows from SESAM Informetic, MGI telecoms and Gamtel as well. She testified that the balance was $3.8 million dollars and the transfer was to the tune of $3,693,296.45. Jawara disclosed that the statement covered from 24th December, 2011, to February, 2018. According to her, the dalasi account was opened on the 21st December,2011 as well as the dollar account, further revealing that the pound sterling account was opened on the 3rd January, 2012, while the Euro account was opened on the 6th December, 2014. The witness further disclosed that she was not present when the accounts were opened, adding that she did not know Sanna Jarhu, former protocol officer at the Office of the former President Jammeh. “Are you not concerned that you were parting with such an amount of money?” Commissioner Saine asked the witness. In response, she said she was concerned. At that juncture, documents relating to the transactions were tendered and admitted in evidence.